Annual Service Agreement – This is our most popular service. This service covers the entire structure for all general pests. It includes initial service using a variety of baits, dust, and products inside the home for all general pests including: mice, rats, pharaoh ants, and carpenter ants. Then five follow-up treatments every other month of the exterior structure of the home. This is paid in full once a year, and scheduling is simple and easy. Excellent for when both husband and wife work because they don’t need to take time off for scheduling. Guaranteed for one year. General Pest – This service is great for basic pest control and pre-move-in treatment. Covers inside, attic, garage, and around the foundation of the house. 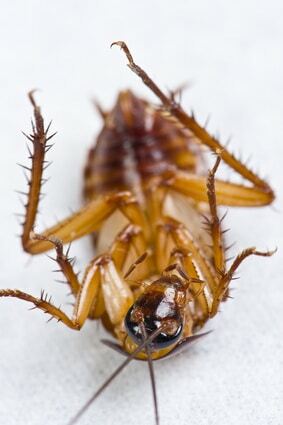 Target pests include: Tree Roaches, Spiders, Silverfish, Crickets, and Earwigs. Termite Control Treatment – We do conventional and baiting systems. Conventional treatment is a method of trenching foundation, drilling of slab joints between slabs (patios, driveways, etc.). Placing a material barrier around the foundation and inside bathrooms to repel subterranean termites. This service is guaranteed for a period of one year from the date of treatment. If termites come back, Allied Exterminators will return, at no further expense to the client, to cure the problem. The warranty is renewable for as long as the client wishes from year to year with yearly inspections. The warranty covers all subterranean termites. The warranty is fully transferable in the event you sell your property. This bait control is an excellent termite control service, especially for preventative measures for newer homes that have yet to be infested. Allied Exterminators has one of the best warranties in the industry. Rodent Control (Mice and Rats) – Thorough inspection of structure and perimeter for possible access areas. After inspection, we begin to utilize a variety of methods involving mechanical and baiting products for eradication. Pharaoh Ant Treatment – Treating inside wall voids with a variety of bait and dust products to attack the Pharaoh Ant where they forage. This is an extensive service usually taking 1-2 hours per initial treatment. We then apply materials outside the perimeter. Carpenter Ant – Thorough inspection of structure. Using a variety of methods we will treat entire structure and nesting areas on perimeter of the structure. Flea Treatment – Whether cat or dog flea, we use materials mixed with growth regulators which when applied will kill adult active fleas and place a block in flea development cycles which will not allow new egg cycles to continue. Attic Dust – Using special machinery to power dust attic for a variety of general pests, roaches, spiders, silverfish, crickets, etc. Yard Treatment – Complete treatment of yard for ticks, fleas, ants, and spiders. Perimeter Treatment Only – We treat around the base of the structure and garage for a variety of general pests. Wood Destroying Insect Report (WDI) – Termite inspections for real estate purposes, refinancing, VA and FHA approved. Estimates – We do free estimates for termite and pest control.